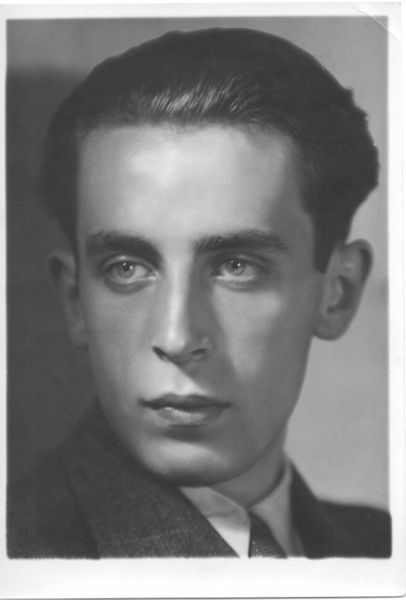 Here are some early recordings by the Czech pianist Pavel Štěpán (1925-1998), from mid-50s Supraphon LP issues. 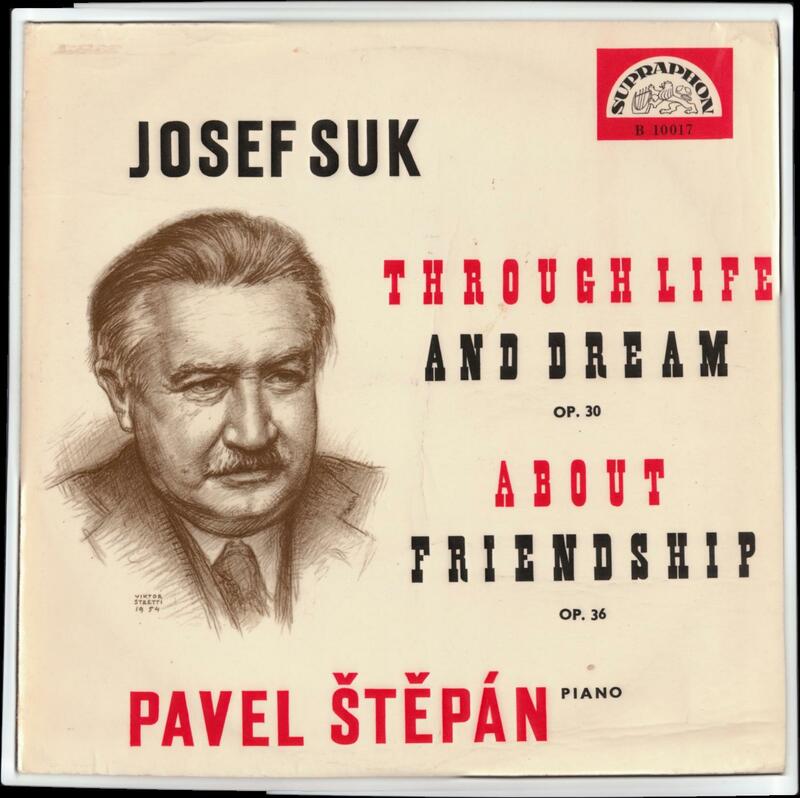 He recorded a set of the complete piano works of composer Josef Suk in the late 1970s (issued in a 3 cd set that for some reason is not available in the US, but can be had from Czech outlets), but this is his first recording of these works. He certainly makes a strong case for these beautifully impressionistic, very personal works. Štěpán’s style is tightly organized (perhaps a bit too tight at times), very well controlled rhythmically, which is where the power of his style primarily resides, and if his tone as reproduced on these recordings is not exactly seductive, it is pleasing gradated dynamically, and offers subtle rewards that may take a second hearing to fully appreciate. 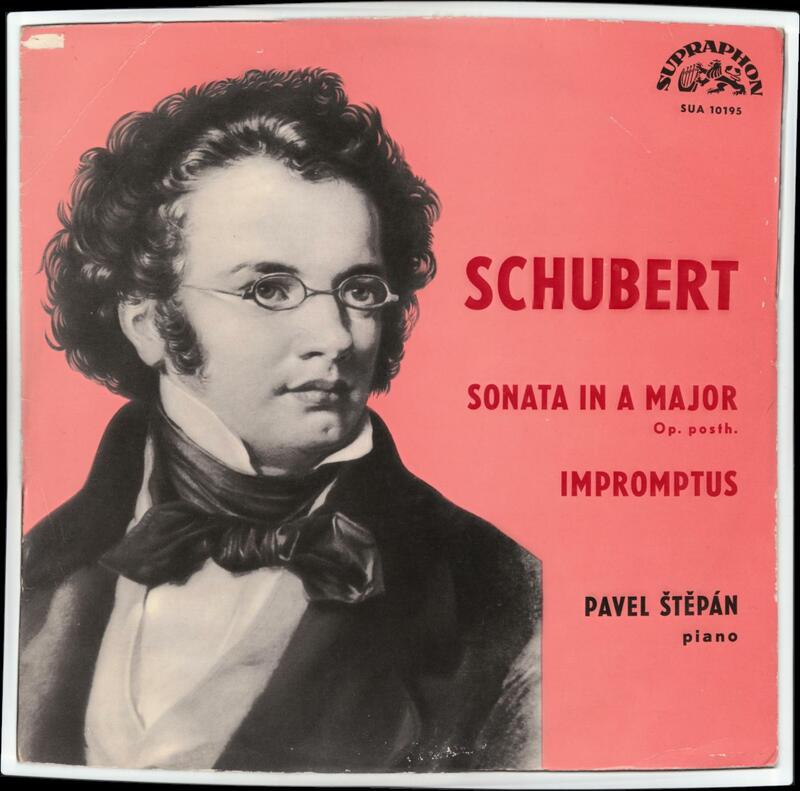 That was the case for me with the Schubert disc, which at first seems rather business-like. Certainly the development of the first movement of the Sonata is dashed off in a perfunctory manner, but elsewhere this no-nonsense reading has many poetic touches. The slow movement is particularly well sounded and phrased, and overall it is his attention to the shapes of the phrases that is the hallmark of his style, along with a tremendous clarity of textures. Musical scores to Suk works (in PDF format) and cover scans included. Note: the Impromptus will not fit on a cdr with the rest of the tracks. From the collection of Mike Gartz. Thanks! This entry was posted in Piano, Štěpán. Bookmark the permalink. There seems to be a problem with the Suk Mediafire file? The rar expands OK, but the flac decoding fails on numbers 5, 7 and 10. I’ve tried two downloads from scratch with the same result. Many thanks for all your wonderful goodies! Thank you Neal for sharing all this. I knew the artistry of Pavel Stepan from a deservelly praised recording of the 5th prokofiev sonata (coupled with an nice rendering of Op.22) showing natural and vivid piano playing with beautyfull phrasing. Skills not always to find among some of his better known pairs (Panenka, Moravec) Other recordings I heared : Mozart(late concertos), Brahms (late pieces and lieder), Schumann quintet (with Smetana Qt), Suk, and a quiet neutral recording of Chopin’s Nocturnes. About the link: I couldn’t play the first movement of the sonata, despite a seemingly normal downloading.